Need reliable, professional property management services in Florida? Since 1999 Premium Rental Management has provided property management services for rental properties in and near Orlando, as well Cocoa Beach and all of Central Florida. Premium Rental Management will handle all aspects of Property Maintenance and Repairs, relieving property owners of hassles and headaches. We will ensure your valuable property is kept well maintained and keep you informed of the status of your property at all times. Please contact us or call us at 407-306-7700 or 1-800-393-1043 for more information. Premium Rental Management Leasing Services offers everything you need to ensure you are leasing your property to reliable tenants. Our Services include: Rental Value Analysis ~ Documented Inspection ~ Credit and eviction reports ~ Attorney Approved Lease ~ Collection of Funds ~ Direct Deposit ~ Monthly Statements & Invoice Copies ~ Owner Portal ~ End Of Year Reports & more. Most importantly we guarantee our tenant placement. If there is an issue in the first four months and the tenant fails to meet your needs we will replace the tenant at no additional cost to you! Based in Orlando, Florida, since 1999 in addition to leasing services, Premium Rental Management offers professional full-service Property Management Services to investment property owners in Orlando and the surrounding areas including Lake Nona, Lake Mary, Winter Springs, Longwood, Winter Park, Orange, Seminole, Osceola, and Volusia counties. Since 1999, the Premium Rental Management Team is comprised of highly seasoned staff in Property Management and will work together for you to manage your property. You will always been kept informed with our stellar proactive communication, and will not be assigned a single property manager, you have the confidence knowing you have our entire team here for your property. Most investment property owners can agree on one thing: managing and maintaining your own rental properties can be a real headache. Let Premium Rental Management help you. Using our aggressive Property Management Marketing System we will quickly find prospective tenants for your vacant rental property. Our lightning fast Tenant Placement Service will screen, qualify, and find dependable tenants for our investment property owners. As a part of our Property Management System we offer Rent Collection and Disbursement services. We collect rent, disburse rent to property owners, and make mortgage & H.O.A. payments. Tenants have online access to our “Fast-Pay” Rental Payment System where they can easily make their monthly payments and submit maintenance requests. Premium Rental Management has continually improved our Internet presence by updating our website content to continuously improve traffic numbers generated by our site compared to other companies. By continually increasing our traffic and combined with our marketing system we have a quicker tenant placement timeframe then the industry average. By using our innovative online system, potential tenants gain access to some of the most comprehensive information for available rental properties. This information includes full color photos of a properties’ exterior, interior and local community when appropriate, plus up to date property information along with Google maps complete with driving instructions to the property. While browsing property information an interested person can easily access an online rental application form, pay the application fee and contact our staff to schedule a tour of the property. Residents can easily login to this system 24 hours a day, 7 day a week and make their rental payment or request maintenance service. Absent are the days of a tenant driving to their bank or a property management companies’ office to make a rent payment by means of a handwritten paper check. By providing tenants access to our “Fast-Pay” system, rent payments are collected, deposited, accounted for, and disbursed to owners promptly and efficiently, even directly into their bank account. When property maintenance and repairs are necessary we will schedule and follow up on the work with approved vendors selected to be part of our Approved Vendor Program. All vendors we use are licensed and insured. As part of our property management service our Property Management department will inspect your property annually, during a renewal, after move outs or as necessary. After a move out our managers ensure the property is ready for new tenants.  Selecting Premium Rental Management as your management company will relieve you of the stress and hassle of responding to tenants’ requests when a problem arises. We offer prompt, responsive service with quality workmanship while controlling your maintenance costs. Our staff will coordinate everything from minor issues to full-blown emergencies so you do not have to. Our maintenance services are available 24 hours a day, 7 days a week. As an owner you will have online access through our owners portal to a full set of financial reports showing the financial strength and well-being of your investment properties. You will be able to rapidly judge the up-to-date Return on Investment (ROI) condition of all your properties. Premium Rental Management maintains an active and viable vendor program as part of our property management services. When a maintenance situation arises, our staff members will facilitate the repair by selecting a vendor from our Approved Vendor Program. All vendors are put through a through screening process before being accepted as a member of our program. All vendors are fully licensed and insured. When a repair to an investment property is needed our staff will contact appropriate vendors to obtain multiple repair cost estimates in an effort to minimize repair costs. Once the vendor is selected our staff will coordinate repairs between property owners, tenants and the vendor selected to do the work. Many of our vendors have been with our program for several years. By using a vendor from our program we can ensure work performed will be completed on time, at or below cost, and at the highest standards of quality. Like all of our property management services, our maintenance program is designed to minimize expenses while protecting the long-term physical and economic value of your property. It's a great time to take advantage of our professional property management marketing services. Contact us at 407-306-7700 or 1-800-393-1043 for more information or to schedule a meeting to find out more about our property management marketing services from Premium Rental Management.